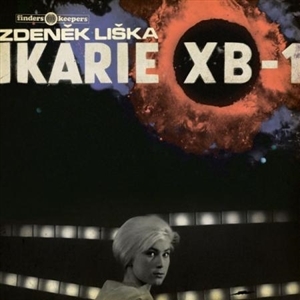 With this previously unreleased 1963 score for Jindlich Polak's Ikarie XB-1, Finders Keepers present an "elusive" musical artifact by ZDENEK LISKA, the label's third soundtrack by the composer. Fettered by the hampers of communism, this lifelong resident of Czechoslovakia would never quite find his seat at the same table as the likes of John Barry, Ennio Morricone, Michael Nyman, and Stanley Myers. But having waited patiently behind the borders of the wider landscapes of international cinema, Liska's musical brood, spanning multiple stylistic decades and generations, has now started to walk proudly amongst his would-be, latter-day compeers. In an era where music lovers have almost become immune to adjectives like "lost", "rare", and "unreleased" in a climate where previously lesser-known off-kilter master composers such as Vannier,Kirchin, and Axelrod have become widely revered, it is perhaps the perfect time for discerning listeners to advance above the feeding trough and seek out this truly pioneering and revolutionary Eastern European composer. Rivaled only by the likes of Krzysztof Komeda and Andrzej Korzynski in Poland, alongside Alexandr Gradsky in Russia, and often splitting workloads with fellow Czech composers like Lubos Fiser, Zdenek Liska's filmography of over almost 300 fully formed movie scores virtually eclipses the achievements of these socialist era luminaries.